Contains Special Cleansing Gel (gentle foaming cleanser), Skin Prep Scrub (skin-polishing exfoliant), Multi-Active Toner (hydrating, refreshing spritz), Active Moist (light, oil-free moisturizer) and Total Eye Care with SPF15 (illuminating eye brightener). 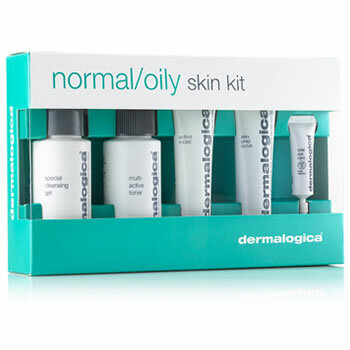 I’ve just discovered dermatologica. And I am seeing improvements to my nature problem skin already. My skin feels much cleaner and softer.